When it comes to electrical equipment installation and electrical equipment maintenance, you won't find a more experienced company than John J. Pempek, Inc. We install, repair, maintain, modify, and interface machines from any manufacturer in the world. We can perform electrical equipment installation, relocation, troubleshooting, and maintenance on a wide variety of machines and process equipment. With a diverse background in serving a number of industries for the past 50 years, we have the experience and resources to keep your plant up and running at its best. Factories cannot produce during a breakdown. That's why John J. Pempek, Inc. responds promptly for electrical equipment maintenance and repairs to restore production for our clients. Whether you call during the middle of the night or the middle of the day, our live service representatives will immediately respond to your needs without teleprompting, answering machines, or voice mail. When you need electrical equipment installation or maintenance, you'll always reach a real person who will dispatch our trained service personnel to get your plant back in production. Anyone victimized by a computer crash knows how painful and expensive it can be. Businesses backup corporate level data and operating systems daily, some even hourly, but often have no backup at all for plant floor operating systems. Don't wait until a machine stops to find out the only copy of your system control routine is lost. 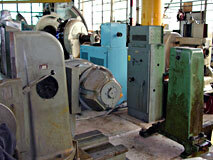 A vast majority of industrial equipment contains devices with custom programming or function-specific setup variables. When these components fail, the default factory programming on the replacement items will not correctly control your equipment. Recreating this information from scratch takes time and results in significant production losses. John J. Pempek, Inc. provides archival management and restoration of PLC, controller, and motor drive programming information as a standalone source or by interfacing with your in-house IS and IT departments. We use our specialized knowledge of industrial control systems to extract and record the correct data from existing undocumented or under-documented systems. 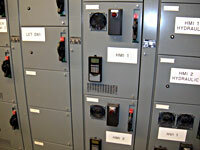 This allows the quick return of equipment to operation after an electronic systems failure or replacement. Specialty Eng. 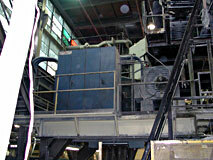 & Equipment Co., Inc.
Give us a call today at (708) 361-1265 or fill out our contact form. With 24-hour customer service, we can give you the information you need for your installation or electrical equipment maintenance project, no matter when you need it.